The Zuni reservation has a population of more than 11,000 people. It covers over 600 square miles of New Mexico desert and is the largest of the nineteen Indian Pueblos in the state. Zuni is considered to be one of the most traditional Pueblos with a unique language, culture and history that has resulted in part from geographical isolation, being located much further south than the other Pueblos. The Zuni Nation has its own constitutional government, courts, police force, school system and economic base. Around 80% of families are involved in the creative arts. 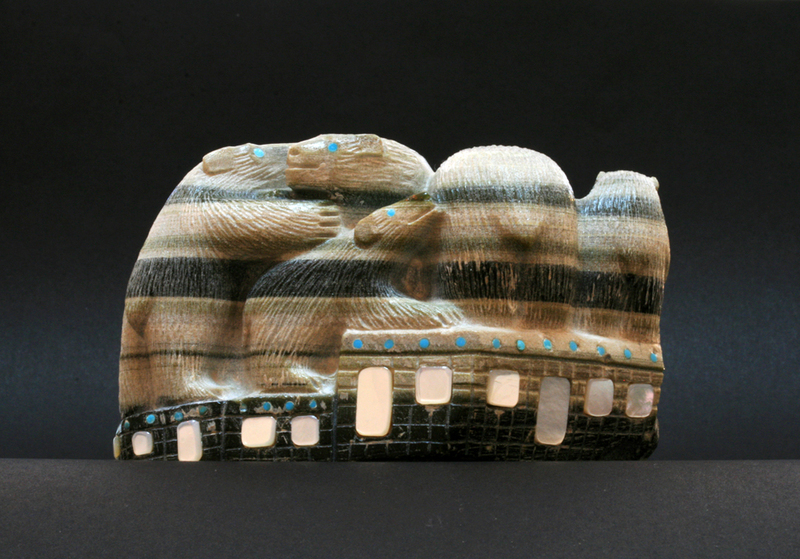 Zuni Fetishes are animal carvings that have been used by the A:Shiwi (The People) for over a thousand years. 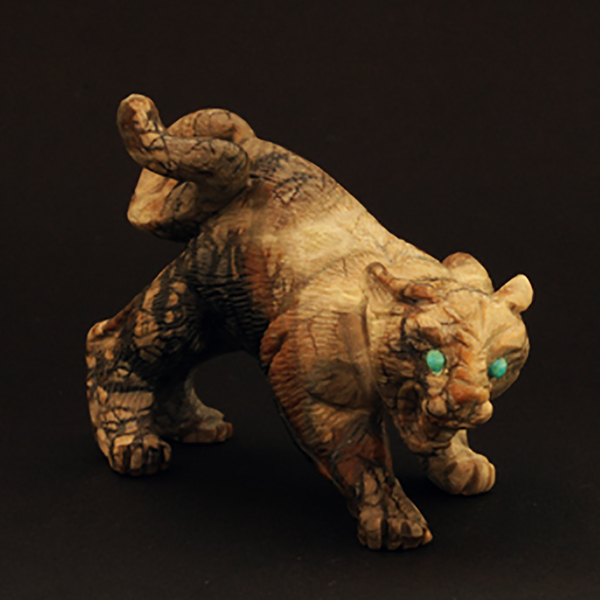 Originally fetishes were found objects that resembled animals and were then adorned with offerings or medicine bundles. Sometimes these natural forms were further enhanced to emphasise the appearance of the animal spirit within. This process gradually developed into a carving tradition of beautiful, characterful and sometimes intricate ritual objects. The carving of a fetish is a way of honouring and calling upon the animal spirit for assistance. By honouring the animals and acknowledging their special “medicine” or natural gifts, we can recognise these attributes within ourselves. When wearing or carrying a fetish or placing it carefully in our homes, we can focus on certain animal like qualities that we have, or would like to develop. Fetishes maybe used to discover, enhance or simply remember a connection with nature. They remind us of the instinctive wisdom of the natural world and all that we can learn by respecting and living close to nature and observing the ways of animals birds and spirits. The Zunis feel that it is the spirit within each fetish that is of value, rather than the object itself and because of this fetishes should be treated with respect and occasionally given offerings of cornmeal. Today many Zunis make a living carving fetishes that are also exquisite works of art in their own right. Certain families and individuals are highly regarded in the tribe for their fetish carvings and their pieces are particularly sought after by collectors. Fetish necklaces have always been made by the Zuni people. Today authentic Zuni fetish necklaces are made by perhaps twenty carvers. The animals and birds on the necklaces are strung with fine handmade beads called Heishe, traded from the Kewa (Santo Domingo) Pueblo tribe. The special selection of ZUNI ROCK ART in this exhibition demonstrates the impressive range of expert carving skills, creativity, creatures, materials and traditions that have given life to a unique and compelling art form.